The Panagiotou brothers George and John with their sister. THE pride of the Panagiotou family are all smiles. 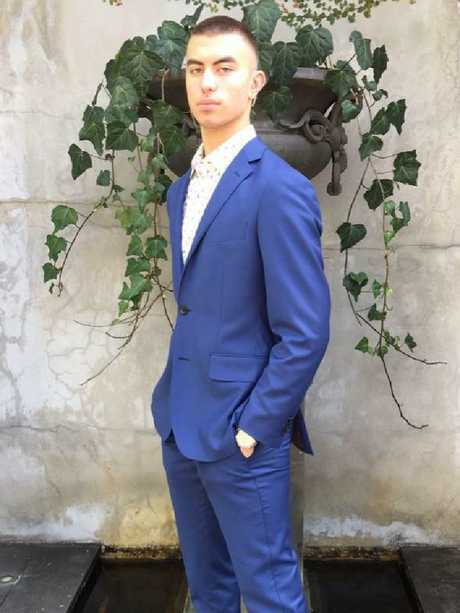 John, 18, and George, 22, wear sharp suits and pose with their sisters in photographs. Good-looking young men with the world at their feet. But the Melbourne brothers are behind bars this week and their picture-perfect world has been shattered. All because of the alleged actions of their father, Tony, in what police say was an ill-planned plot for revenge. On Monday, the boys' mother sobbed loudly as she watched the men in the family marched from the cells at the Melbourne Magistrates' Court one by one to face a stark new reality. Mary Panagiotou was inconsolable as prosecutors read out charges against all three after an alleged bid to recover stolen property turned deadly. George, left, and John, right, are behind bars this week after their father allegedly shot and killed a father-of-five. Her husband, Tony, 56, is accused of shooting dead father-of-five Duane Hutchings, 44, in an apartment at Oakleigh East on Saturday morning. 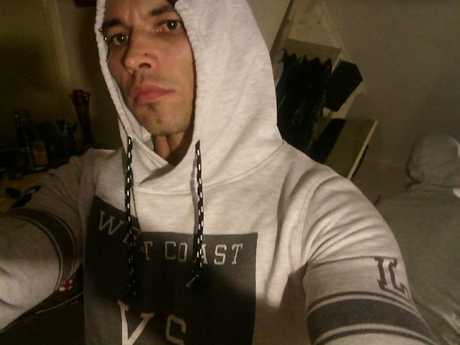 Detectives say he took a sawn-off shotgun to the property to recover DJ equipment he and his sons believed had been hired from the family business and advertised on Gumtree. It is alleged he fired a single shot into the back of Mr Hutchings' head from less than 1.5 metres away after a group of men burst into the apartment carrying metal poles. 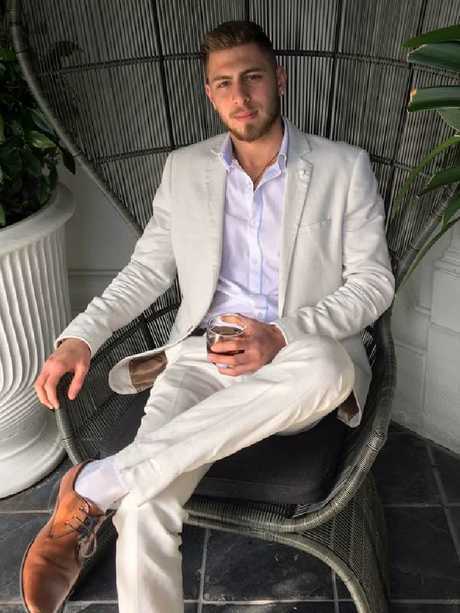 Tony Panagiotou is charged with murder and George and John Panagiotou are charged with aggravated home invasion, assault and recklessly causing injury. A fourth man, family friend Jonathan Atalalis, 24, is charged with aggravated home invasion, assault and recklessly causing injury. All four are behind bars until their next hearing in June after Magistrate Constantinos Kilias refused them bail. John Panagiotou held his head in his hands and cried metres from his mother. The family has been torn apart. Police believe they have the suspected killer, but a witness says there are several men still missing. A woman who was house-sitting at the apartment in Melbourne's southeast when the alleged murder took place said "six or seven" men entered before a single shot was fired. She was told to stay where she was and to not touch her phone for five minutes. 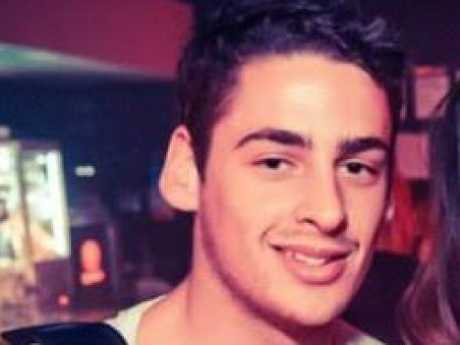 Mr Kilias refused bail to the youngest of the Panagiotou brothers in part because of concerns for the whereabouts of the murder weapon. "I'm troubled by this," he said. "I don't know who's got that gun." 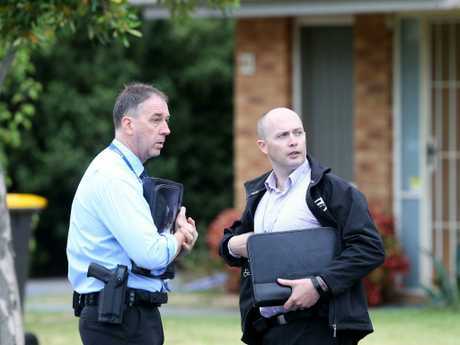 Detective Senior Constable Megan Adams from the Homicide Squad told the court on Monday Tony Panagiotou had "made extensive admissions" about why the accused were at the Oakleigh East apartment and what happened afterwards. Duane Hutchings was shot and killed. "At approximately 5.25am on February 9, emergency services were contacted by an eyewitness," she said. 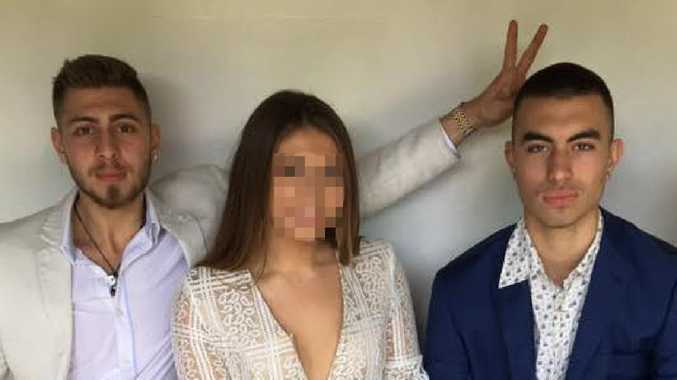 Sen-Constable Adams told the court one of the accused sent a text message to a woman at the Oakleigh East address regarding the DJ equipment that was hired from John and George Panagiotou's new business, Love it Loud. 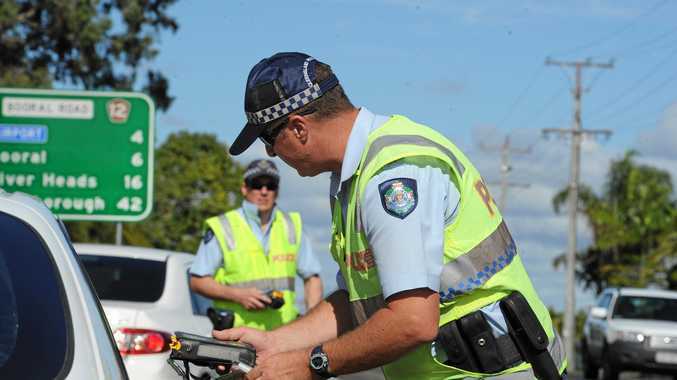 "She let him in to view the equipment, he indicated he was happy and after a short time returned with a group of males who commenced an assault with metal poles," Sen-Constable Adams said. "An older male armed with a sawn-off shotgun discharged a single shot." The victim was transported to The Alfred Hospital but died from his injuries before 7am on Saturday. Police did not arrest the four men until Sunday night after a judge signed warrants for their arrest. They were arrested after police raided properties at Doncaster and Park Orchards. 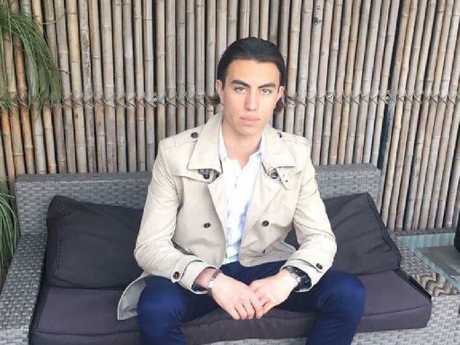 John Panagiotou, 18, held his head in his hands in court on Monday. Lawyers for John and George Panagiotou told the court the brothers discovered equipment they believed to belong to them had been advertised on the classified ads website. Defence counsel Christopher Farrington said the pair reported the matter to police before allegedly taking matters into their own hands. On Facebook in July, George celebrated his new career by posting about the "new job" as "founder" of Love it Loud DJ equipment and party hire. The "premium DJ, sound and lighting equipment hire" business, was operated by John and George Panagiotou out of Park Orchards, 23km northeast of the Melbourne CBD. "We started Love it Loud in 2018, and since our first day in business we've set out to bring the best selection of products and service to our customers," their website reads. Mr Hutchings' brother Liam told reporters on Sunday his brother "didn't deserve to die like that". "No one does," he said. Another family member told Fairfax Mr Hutchings was "a beautiful person and looked after his mum and his family and cared about his children". "(He) just wanted to progress to a better life," she said. 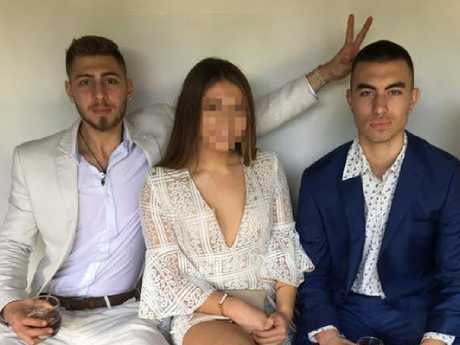 In a Facebook message seen by news.com.au, a woman claiming to be a family member said Mr Hutchings "was not involved in any of this and now (his children) are going to grow up with no father". The four accused were remanded to face court next on June 3.